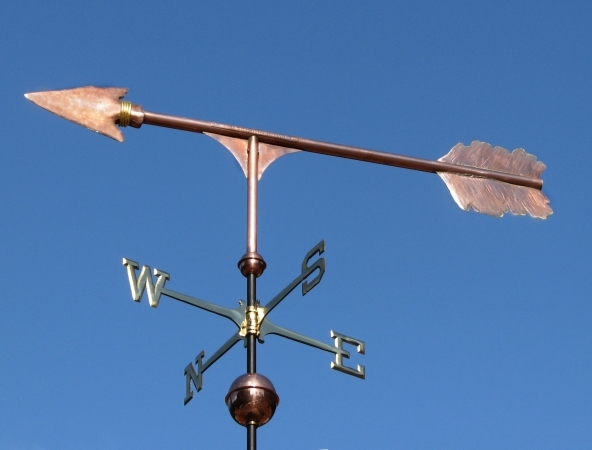 Our classic Indian Arrowhead Weathervane is a simple and effective choice for an economical vane in a large size. We have designed a stylized representation of a flint knapped stone arrowhead, hand tied to the shaft with a large wing feather fletching. This piece is fabricated in copper. 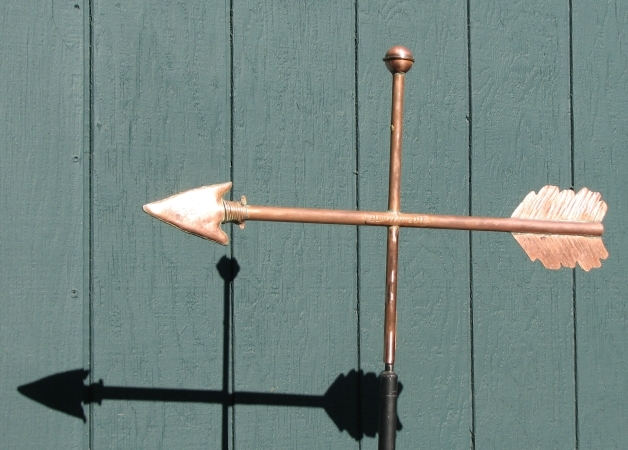 The arrowhead is swell bodied, and the feather fletching is silhouette. There is also an inscription on the arrow shaft. In the pictures you can see that one is of only copper, while the others have included a small amount of optional gold leaf on the pennaceous portion (edge tips of the feather). This small amount of gilding is also not very expensive for the effectiveness you get in adding a bright, eye catching element to the distant view. 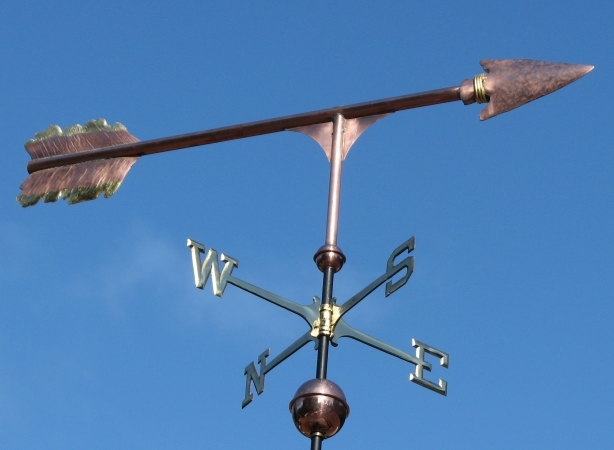 This vane has been quite popular through the years. Most recently it was installed atop an Arts & Crafts style house, with deep porches and heavy timbers. A beautiful fit.